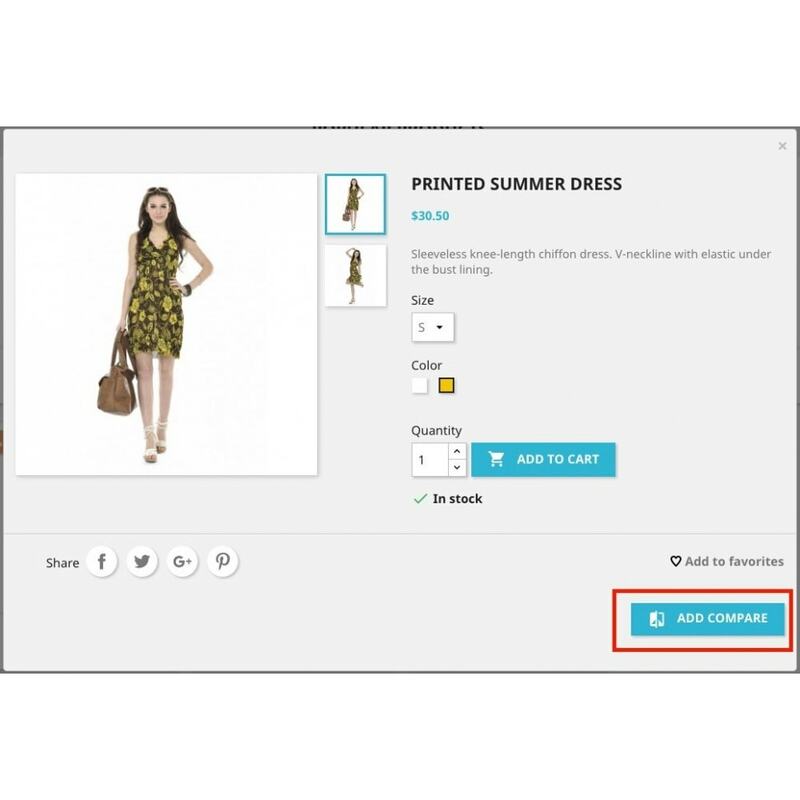 This module allows adding products to comparison on your website. 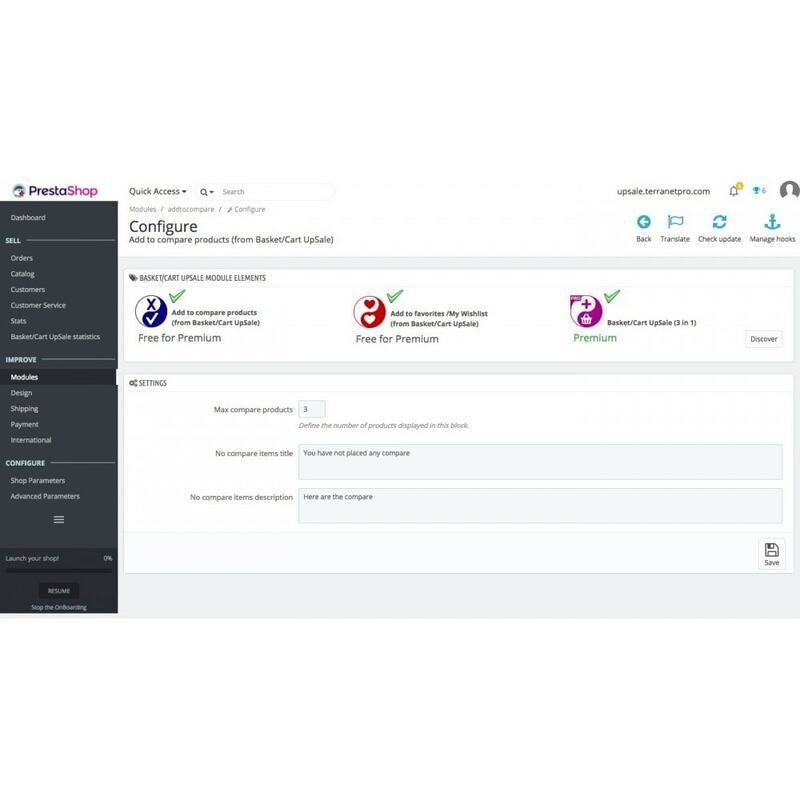 The possibility to add products to comparison can be found on product’s detailed page and on product’s quick view. 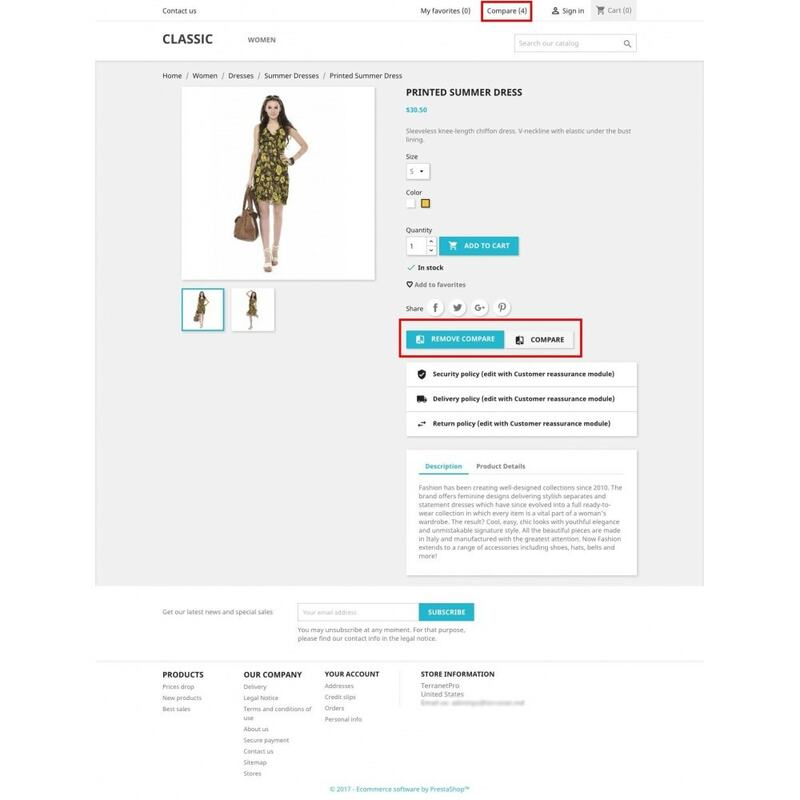 In order to compare products, user must access a separate page, link to which can be found in top menu of the website. After comparison, user can remove unneeded goods from comparison. In the Back Office administrator is able to set a limit of simultaneously compared products. Also in section Stats can be viewed how many users used the comparison function. Your client will be able to compare products and make the choice by buying one of them. We recommend this module to those, who want to give their customers an option to compare products.